Scopes added to the 243 Winchester allow hunters and target shooters to make much more accurate shots ensuring that they will hit their intended target much more often. There are many available scopes on the market, so choosing one can be quite difficult. Comparing the best scopes results in a few great selections in different price ranges. 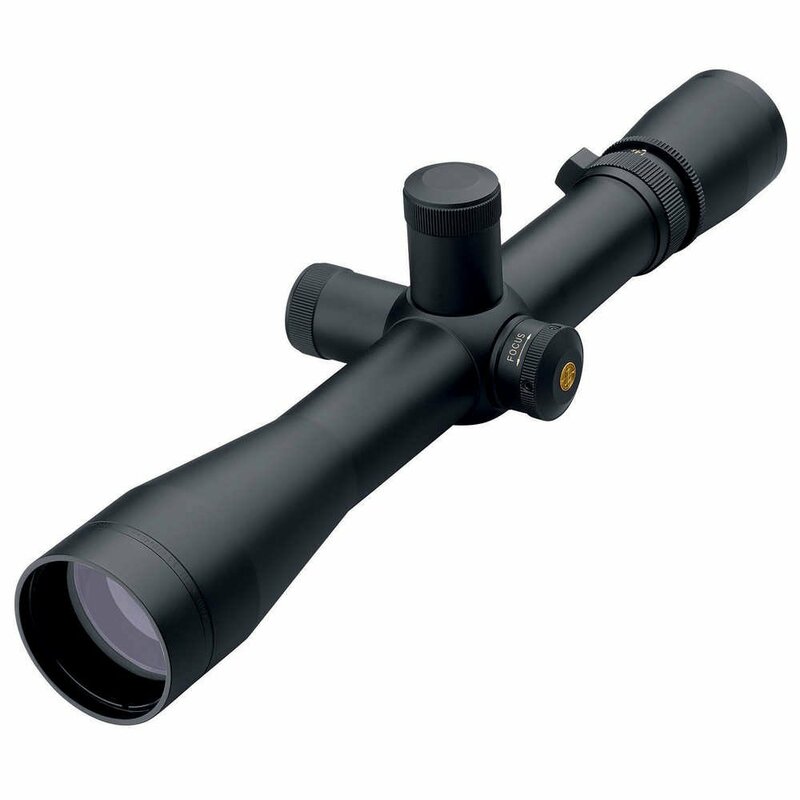 Leupold scopes have long been recognized as being one of the best scope manufacturers. The 30 mm maintube is incredibly strong, so it provides years of service. The eyepiece is made without an internal locking ring allowing the user to easily adjust it in any direction. The battery pack is designed to provide long service and is easy to change. Making it even better, this scope for the 243 Winchester is waterproof so hunting in the snow or fog is never a problem. This scope features a patented multicoat 4 lens system delivering extreme clarity throughout the visual field. Those using their Winchester 243 guns in low-light conditions love the contrast that this lens system delivers even in low-light conditions. The flip-open lens cover ensures that you never miss a shot while fumbling with a hard to remove cover. The lens system is easy to clean with a lens brush and some high-quality glass cleaner or some pure alcohol. Hunters love the side-focus parallax on this scope because it comes from Leupold with accurate markings unlike so many other scopes where the user has to take their time to ensure that the markers are accurate. Adjusting this parallax is easy ensuring that the optical illusion caused by the reticle is eliminated. As hunters know, the wind speed can change the bullet’s distance in a flash, so this scope offers finger-adjustable ¼ minutes of angle (MOA) up to 45 MOAs. This scope also adjusts for 140 MOAs for elevation. Hunters do not even have to look at the gauge because the scope features audible and tactile clicks that are easy to hear and feel. The adjustments are permanently lubricated helping to minimize cleaning time. The Leupold Mark 4 LR/T has the multi-dot sighting system that is incredibly easy to use. Users can simply look through the scope, bracket the object between the dots and estimate the distance to the target. Using this system ensures that bullets follow the expected trajectory allowing you to hit the expected target. The Bushnell Trophy XLT Multi-X riflescope was made in partnership with Michael Waddell from Outdoor Channel’s Bone Collection show. Unlike many scopes in its price range, this scope is built to last. Since this scope is only 11.9 inches long, it looks perfect when attached to the Winchester 243. The aircraft-grade aluminum ensuring that it stands up to the gun’s rebound and harsh outdoor conditions. Further ensuring that this scope withstands punishment, it is made of one piece that is waterproof. This scope is filled with nitrogen so it will not fog ensuring that the user can see clearly regardless of conditions. Weighing only 14.1 ounces, so carrying it all day in the field is easy. Buyers need to be aware that this scope does not come with the 1 inch required o-ring required for mounting. For many years, hunters and target shooters have trusted Bushnell’s outstanding optical systems and this scope is no exception. The lenses on this Bushnell Trophy scope are multicoated so users can get a clear view regardless of lighting conditions. This scope is particularly noted for giving users the ability to see clearly in low-light conditions. Furthermore, the coating helps to eliminate glare. A flip-up cup protects the lens while making it easy to use even for a rapid shot. Many shooters have often wished that the target would come closer. This scope will make the target appear closer as it offers three to nine times magnification. The field of view is 40 feet at 100 yards when using three times magnification and 13 feet at 100 yards when using nine times magnification. Users can easily get the target in view under normal viewing conditions and easily adjust the magnification allowing them to hit the exact spot on the wild animal for an instant kill or the bullseye when target shooting. The resolution remains outstanding through the entire range of magnification. If you love simplicity, then you will love the multi-X reticle on this scope. Simply place the crosshairs on the intended target and pull the trigger. For novice shooters this requires some practice, but more experienced shooters find it the easiest system to operate. The fast-focus eyepiece works extremely well while giving a clear picture. The reticle is not illuminated, so using it in low-light conditions requires practice. This reticle is capable of gathering 91 percent of all available light making it easy to take shots in low-light conditions. This Bone Collection scope offers 114 MOA making it easy to adjust for windage and elevation with its easy to use fingertip adjustment knobs. Once the scope is sighted, it does an incredible job of holding zero regardless of the way that it is treated. If you are looking for a budget-friendly riflescope, then make sure to consider the Vortex Optics 2-7×35 Diamondback Rimfire riflescope because it shares many of the same characteristics as much more expensive riflescopes. This riflescope is made of high-grade aluminum, so it will withstand the punishment that hunters give it in the field along with easily handling any abuse given to it by target shooters. The one-inch tube easily mounts to the Winchester 243. Since this scope weighs just 14.2 ounces, hunters can easily carry it all day and target shooters find that the gun is not enough heavier to encumber their shots. It is both waterproof and fogproof making it perfect for any weather conditions. The opticals on this scope allow the user to easily select from two to seven times magnification. The lenses are multicoated to take advantage of any available light without causing glare. The eyepiece is very comparable to speeds offered on higher-end models. When users choose two times magnification the field of view is 64.3 feet per 100 yards while it is 19.3 feet per 100 yards at nine times magnification. The parallax is set at 50 yards and cannot be adjusted. Therefore, those using this scope on a Winchester 243 need to find other ways to compensate when attempting to hit a target. Most experienced hunters and target shooters do not find this an issue because they often forget to adjust the knob offered on more expensive models. The MOA adjustments on this Vortex Rimfire scope are outstanding. Shooters have the option of adjusting them in ¼ increments with an adjustment of 15 MOA being offered by a single turn of the knob. This scope offers a maximum of 100 MOA for windage and for elevation. The low-capped turrets on this scope help to keep out soil and other elements. The low-cap also helps ensure that the scope is not easily snagged when the hunter is walking through rough terrain. The turrets can be reset. This scope offers v-plex reticle that is generally regarded as one of the simplest reticles available because the hunter just lines up the target in the crosshairs. It is intended for a variety of hunting purposes. Sightron SII Big Sky series of scopes are quality scopes featuring optical lenses made in Japan. These scopes are 12.56 inches long and weigh 13.4 ounces. The scope is waterproof and fogproof. Users need to be aware, however, that no lens cap comes with this scope. The scope is filled with nitrogen, so fogging is never a problem. This Sightron scope features This scope relies on the duplex system allowing hunters and target shooters to line up their shots with each. This scope features magnification from three times to 12 times. There is very little distortion until the scope is pushed past seven times magnification. Then, the distortion is minimal. At three times magnification, the field of view is 31.9 feet per 100 yards while at 12 times the field of view is 8 feet per 100 yards. The zoom knob has a large tactile hump allowing users to turn it easily even with gloved hands, however, once set it stays in place. Users should be aware that the Big Sky scope uses European-style focusing, so it is not as likely to get inadvertently changed, although it is slower than American-style focusing. This scope features outstanding seven-layer coating to maximize light allowing hunters and target shooters to see well even in low-light conditions. This scope features Sightron’s patented ExecTrac MOA system that some experts describe as the most precise in the industry. Users can adjust the MOV at ¼ increments up to 70 inches at 100 feet using a knob that adjusts 15 MOV with each turn. This scope features audible clicks, so users do not have to look at the scope to change its MOV.